Cooler August mornings are tricking my mind into believing that my favorite season is closer than it really is, wishful thinking. 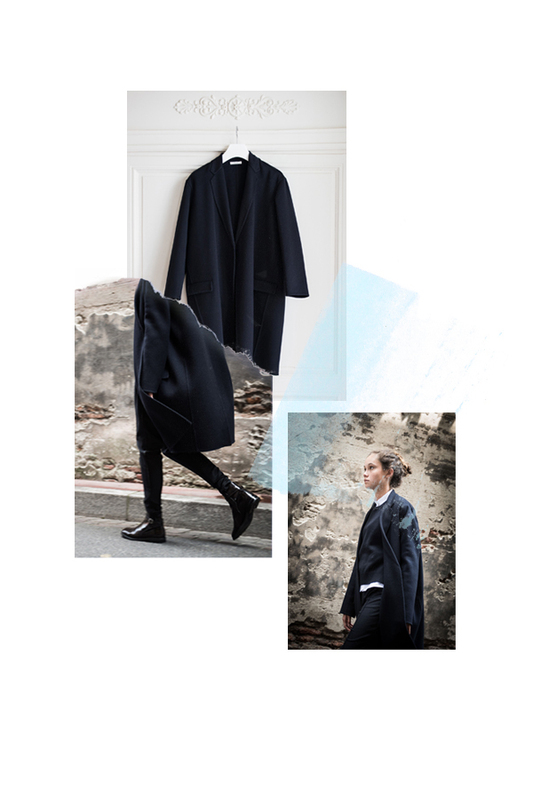 Département Féminin's latest imagery for their new Fall deliveries inspired me to be an early bird in picking out a sturdy pair of flat ankle boots to wear with an oversized coat. Now if only these boots could find themselves walking around the streets of Paris in autumn. Celine arrival photographs via Département Féminin, collage by me.